Our fourth Innovator 25 class in EMEA provides a valuable glimpse of our industry’s future, shining a spotlight on the individuals who are reshaping influence and engagement in an era of dramatic marketing and communications disruption. 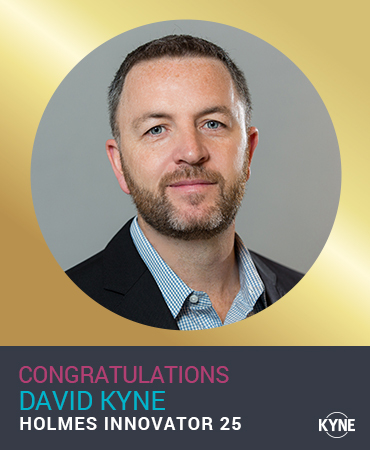 The people recognised here come from various corners of the industry — social media strategy, creative, digital execution, reputation management, employer branding — but together they represent a compelling picture of what marketing and communications looks like today, and where it is heading tomorrow. 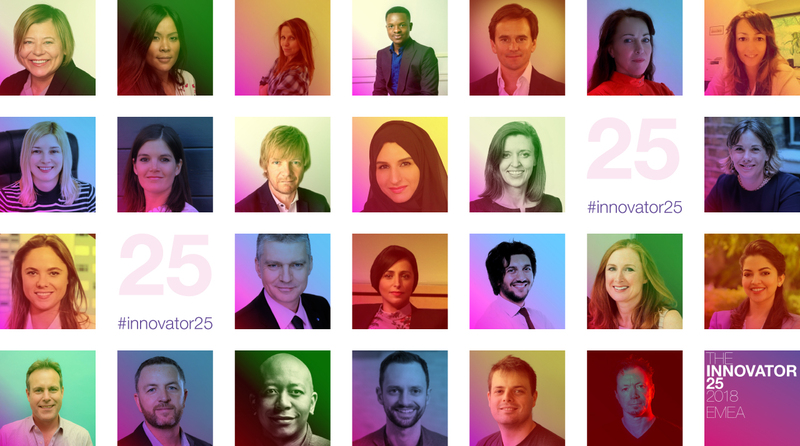 This year’s Innovator 25 in EMEA come from backgrounds as varied as advertising, science, politics, technology, retail, sports marketing and publishing, but the one thing they all have in common is their ability to innovate ahead of the curve. Unsurprisingly, the highest proportion of our inaugural class are based in the UK (40%), followed by Germany and the UAE. Other markets represented are Sweden, Belgium, Ireland, Russia, Bulgaria, Italy, Nigeria and South Africa. The Innovator 25 profiles explore each individual’s view of the state of innovation in the PR and communications industry, and also give us a glimpse of the habits and learnings that drive our innovators. As well as asking our EMEA cohort what innovation means to them, this year we asked them how they get out of a creativity rut. The responses varied widely, from physical exercise (swimming, running, walking, climbing and surfing all make an appearance) to getting together with other people and seeking inspiration from external sources such as TED talks or a good book. 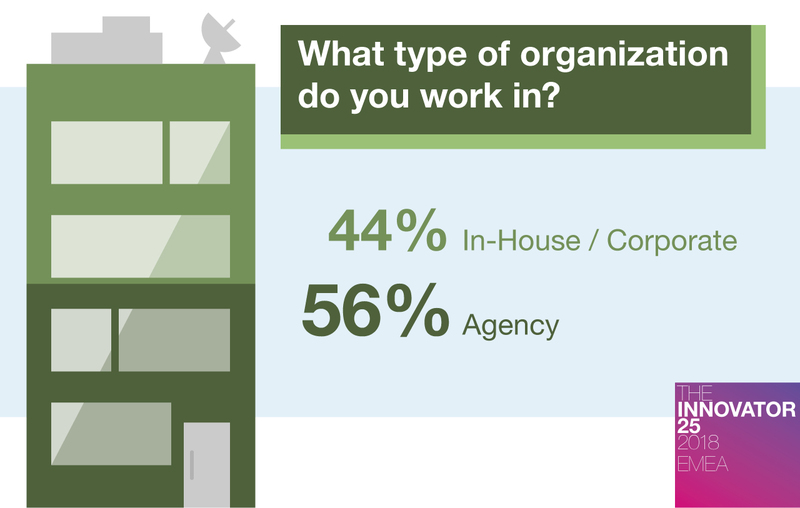 There are slightly more agencies (56%) than in-house innovators on the list this year, and there are more women on the list than men: 14 versus 11. 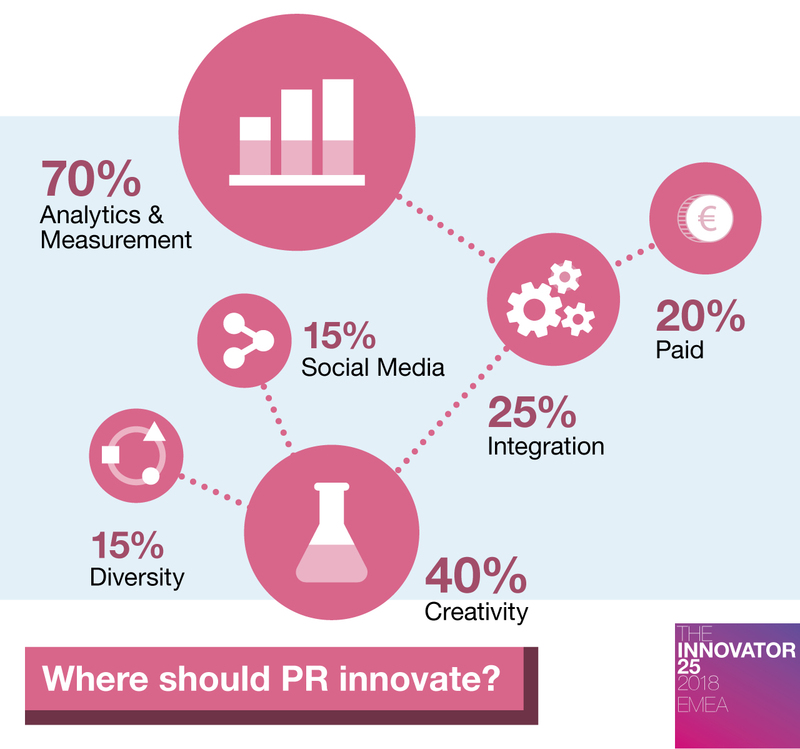 When it comes to where marketing and PR should innovate in EMEA, 70% of our innovators say analytics and measurement, reflecting both rapid strides made in these areas by the marketing communications sector and the need for more to be done with data at both ends of the campaign process. Meanwhile, 40% say the industry could innovate more in terms of creativity, and there’s also room for more innovation in the areas of paid (20%), integration (25%), diversity (15%) and social media (15%). 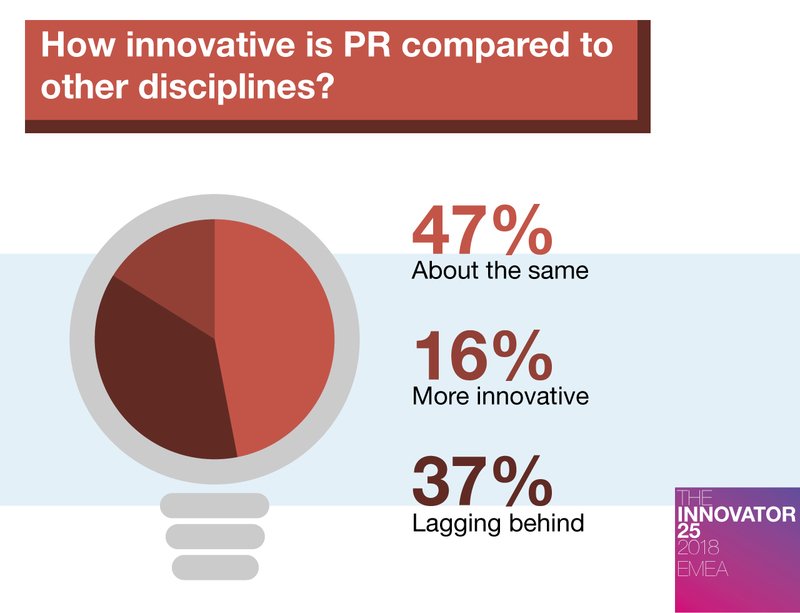 In an unwelcome reversal of last year's findings, only 16% think communications is ahead of other marketing disciplines in terms of innovation, while 37% now think the PR industry is lagging behind. When asked who most influences how innovative a brand’s marketing/PR is, it’s a different story to last year, when the CMO reigned supreme, with 56% of the vote. This year, reflecting the growing influence of vocal leaders, the CEO and the CMO have equal influence, with 37.5% each. PR and marketing agencies are seen as much more influential than last year, with 25% of the vote, up from just 12% in 2017. 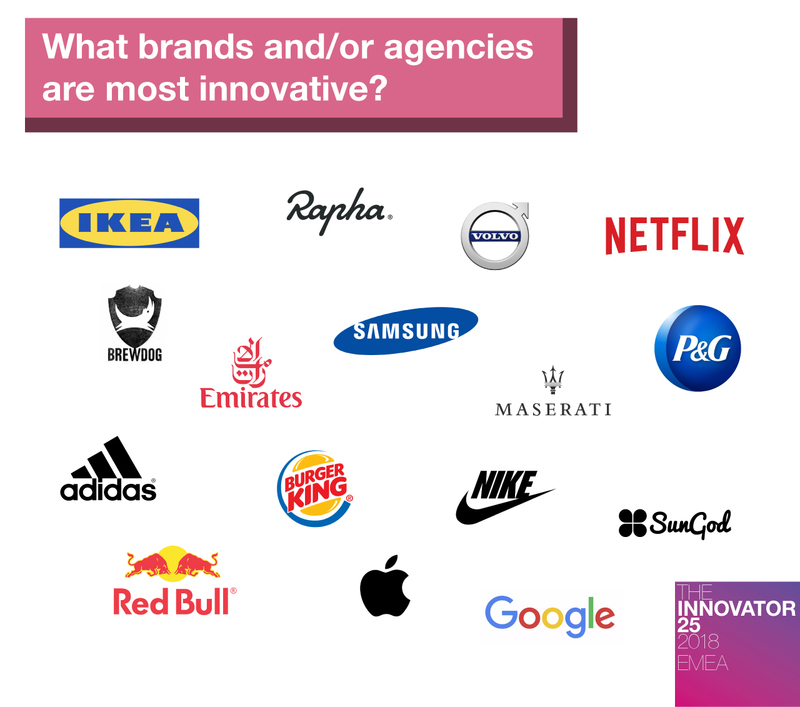 Which brands and agencies do our EMEA Innovators find most innovative? Some familiar names crop up, including Ikea, Netflix, adidas, Nike, Red Bull and Apple, along with more niche brands such as Brewdog, Maserati, Rapha and SunGod sunglasses. 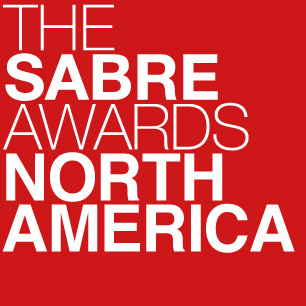 Some of the brands cited as innovative last year, however, are notably absent, including Airbnb, Spotify, Sonos and Facebook. 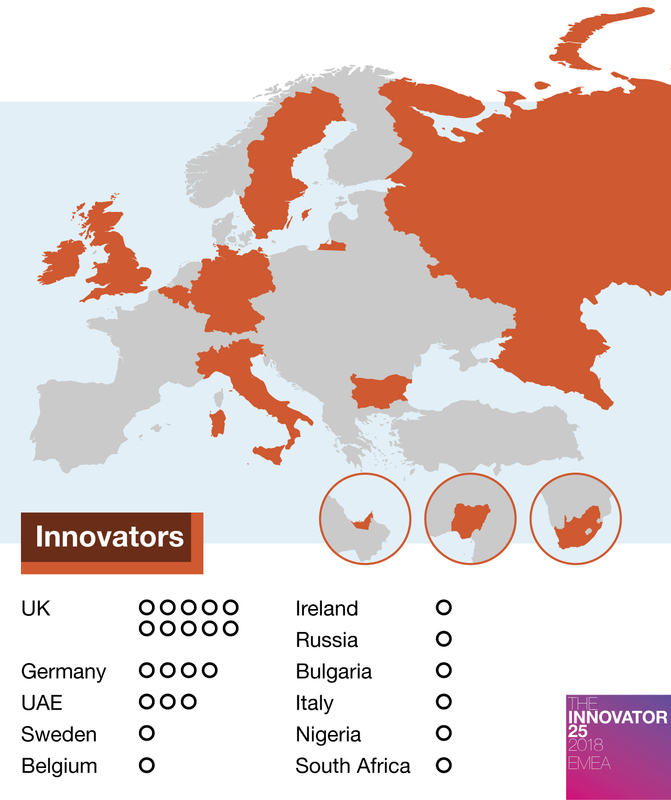 You can read all the Innovator 25 Profiles, and explore their inspiration and advice, using the navigation menu on this page.